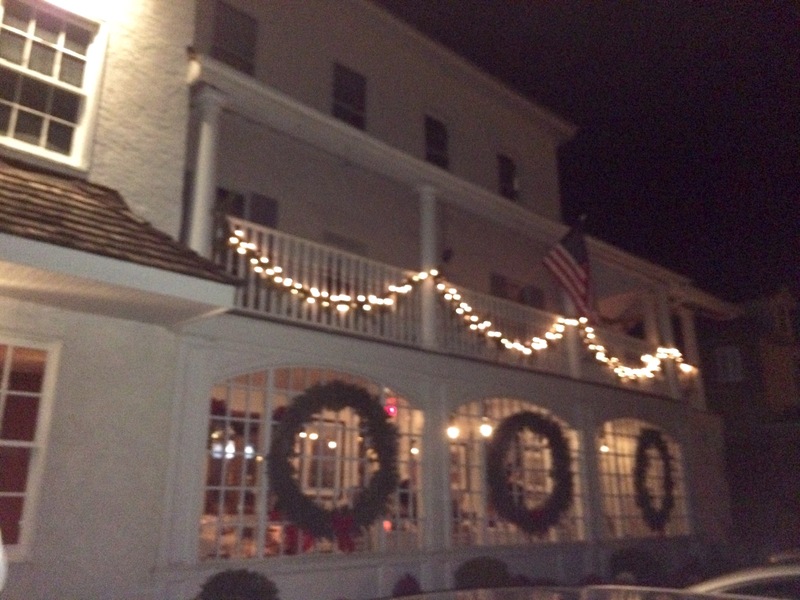 We forgot about New Year’s Eve again this year and made last minute reservations through Open Table at The Cedar Hollow Inn in Malvern. I was very glad they had a reservation but my experience has left me with some reservations. 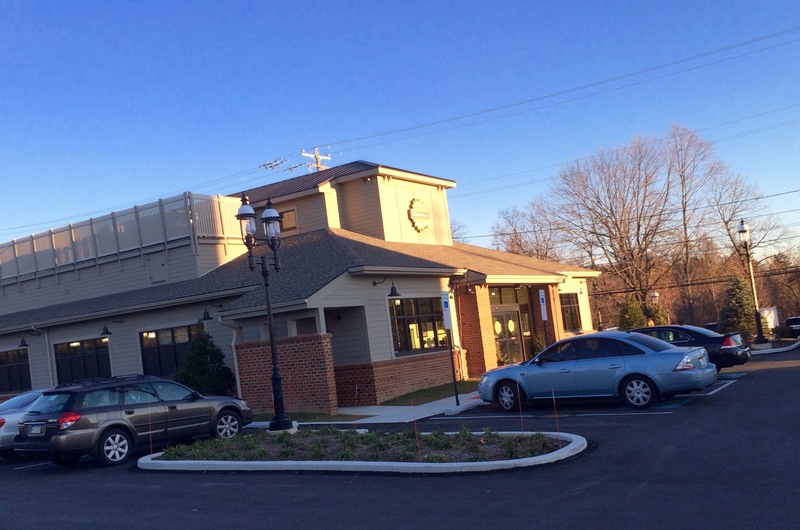 We got there and there was ample parking, and we were actually able to park right in front. That was terrific on a cold night. But the hostess seated us in restaurant Siberia. Our romantic date night New Year’s Eve dinner was at the last deuce before the kitchen and the bathrooms, and if you went the other direction you headed towards the bar. For what we paid for dinner, and considering the fact that there were ample tables available in the dining room away from the kitchen door, bathrooms, and pathway to the bar I don’t understand why we were seated there. 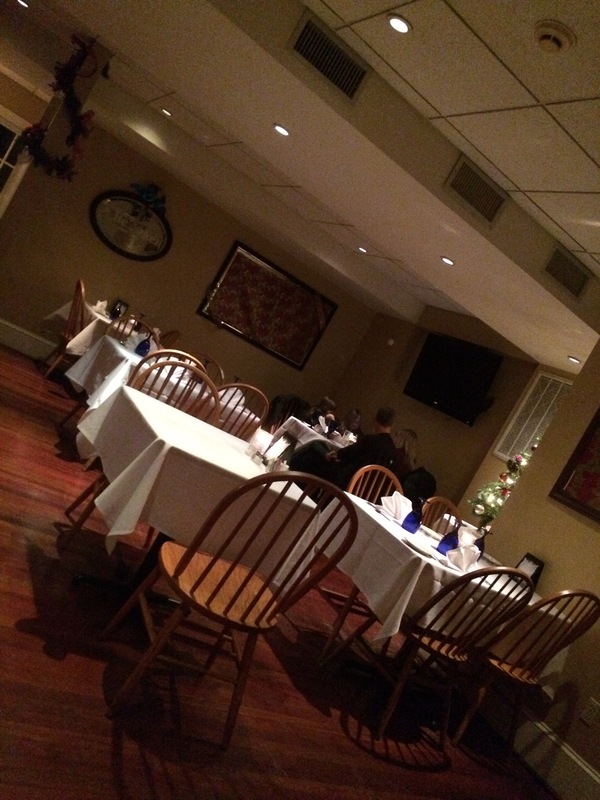 We were not the last table to be seated for dinner, but we were the last the last reservation for two people. The photo above was taken just before the last group was seated for dinner. It was not packed, so one would have thought there were a couple more choices for tables where you weren’t marooned in the center of the room or stuck in Siberia like we were. The waitstaff was very pleasant, and the service was decent. I liked that they did not hover over you. The inn is known for quite the selection of craft beers, and their wine list wasn’t half bad either. I had a perfectly acceptable Gewurztraminer. I can’t drink red wine, so I am always on the hunt for a decent white by the glass that isn’t Chardonnay. Chardonnays are fine but they’re a little boring when there are so many other varietals available. My sweet man had the lobster bisque soup as his first course. He enjoyed it very much although he said it was a little heavy on the Cayanne pepper. 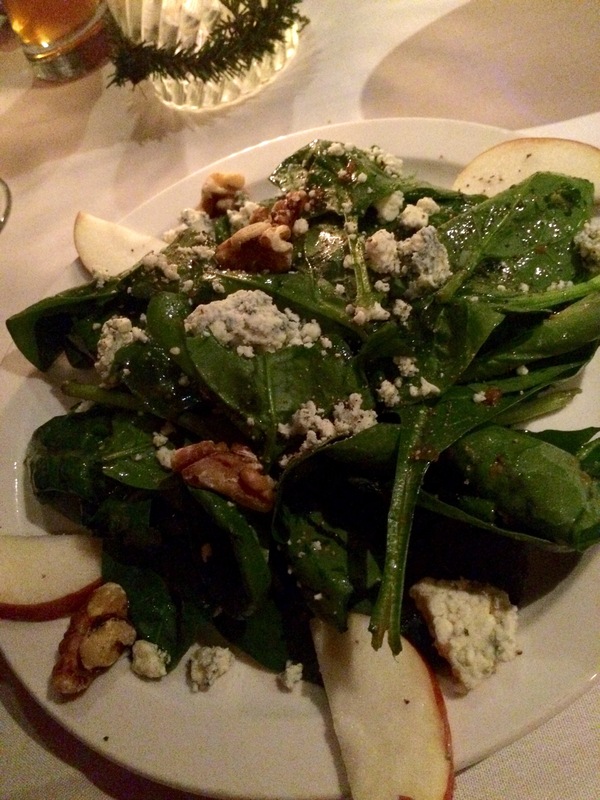 I had a spinach salad which was off the charts terrific. I love a good spinach salad and so few places make them anymore. And it wasn’t swimming and dressing which I really was grateful for. The entrées were served very quickly (almost too quickly) after the first course. He had the salmon, which didn’t look like salmon to me but I didn’t taste it and I had the venison. My sweet man liked his fish okay, but again somebody in the kitchen had a heavy hand with spice. 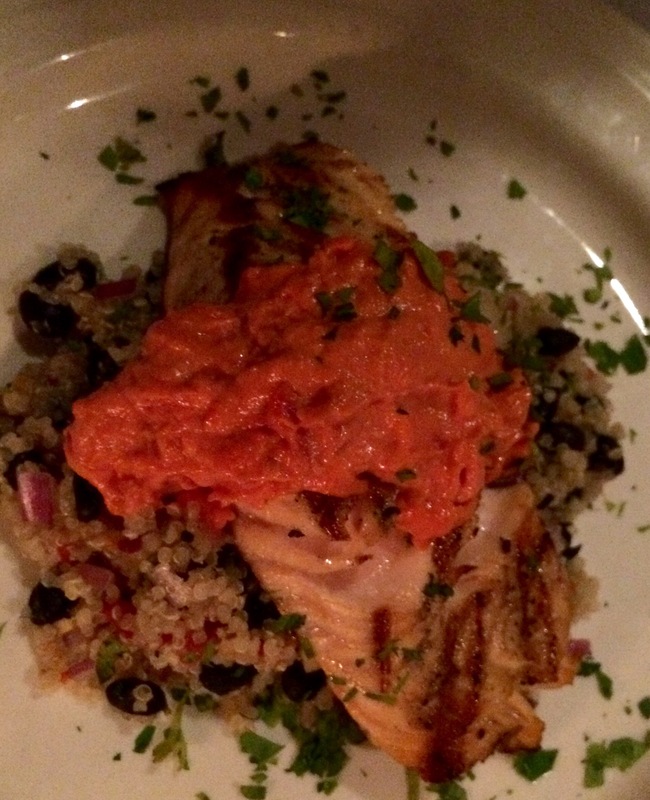 There was some kind of a quinoa that that the fish sat on and it was too heavy with whatever hot pepper they used. I must say that I loved the venison. 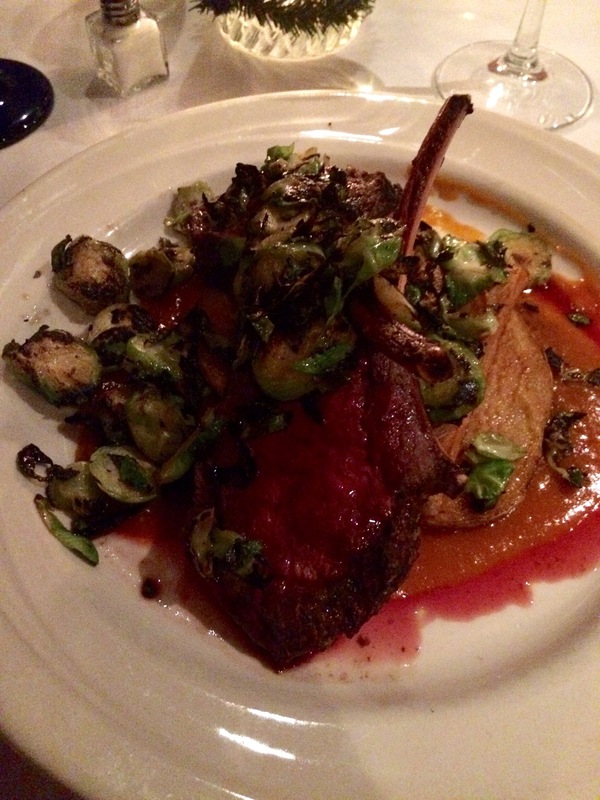 Venison is something a lot of restaurants do not get right, and they did a very respectable job with it. It wasn’t tough it wasn’t undercooked or overcooked, it was just right and it wasn’t too salty. The venison (two delicate chops) was served on thinly sliced potatoes that were described as frites on the menu but really weren’t, but that was okay. They were also served with roasted brussels sprouts which is one of my most favorite things as far as a winter vegetable. 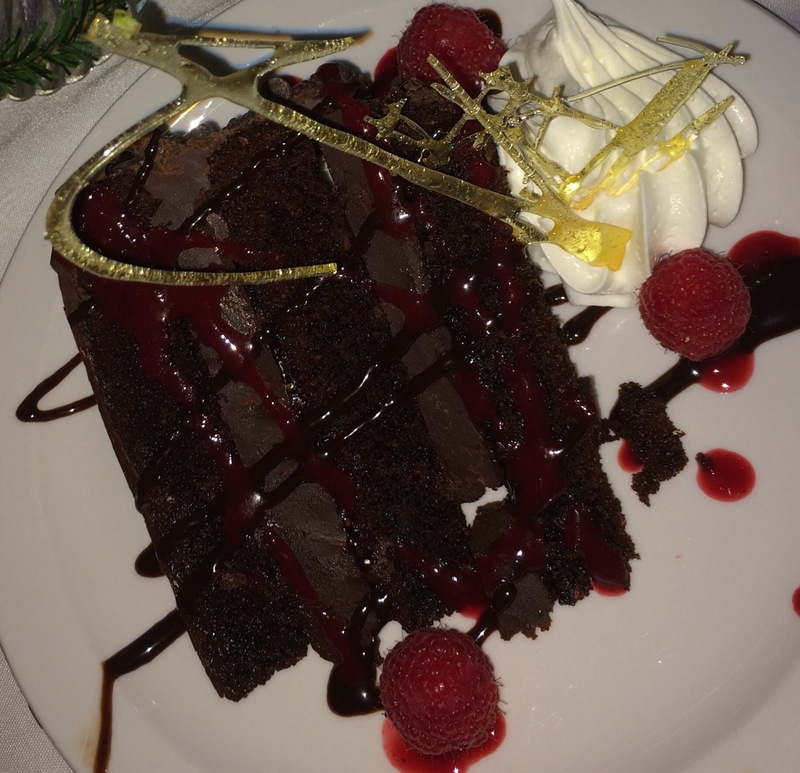 The desert was a chocolate cake with some kind of a raspberry filling. It was very prettily displayed and served with a tiny dollop of whipped cream, a few fresh raspberries and spun sugar ornament. It was a very decadent dessert and so rich that it wasn’t finished. A smaller slice probably would’ve been better, and they should have let the cake sit out about 15 minutes before serving because it was just too cold. A cake like that should be firm and the chocolate not melting, but it shouldn’t be ice cold. 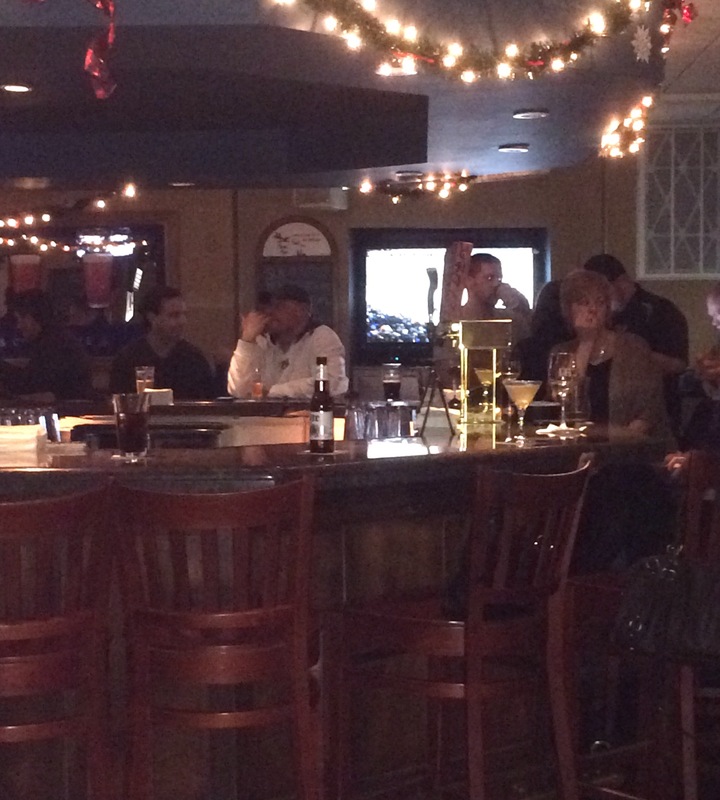 The Cedar Hollow Inn appears to have a very loyal following for the bar. There were a lot of people in that area of the place and they were setting up for music and New Year’s Eve festivities once dinner service was complete. Another thing I noticed is they started to clean up from the dinner service and convert the dining room to an extension of the bar area before everyone was even finished dinner. And again, the menu prices were not inexpensive, and as a diner I really would prefer that a restaurant wait until the diners are finished before they break down and change up a room. If the bar was so packed to overflowing when we were finishing dinner I would’ve understood it, but they weren’t. And given our close proximity of our table to the bathrooms and the kitchen we got to see everyone in the bar as they went past the entire time we were there. I think when I was about 25 I would’ve loved that, but not on my romantic New Year’s Eve dinner as a bit more of a grownup. It was like eating dinner on a subway platform in a way. I don’t want you to think that I did not enjoy my experience there, there were just aspects of the experience that I found lacking. I enjoyed my dinner tremendously, but I am not sure how much my sweet man enjoyed his. My dinner in as far as the meal was just terrific and his was just okay. If you’re going to get dressed up and go out for New Year’s Eve dinner you want it to be more than just okay for the guy who is treating you to a nice dress up occasion, right? The Cedar Hollow Inn I am sure has suffered greatly with all the hot mess construction around it and highway construction nonsense over the past few years. But I don’t think they are doing things as well as they could. They have a truly decent kitchen I think, it just needs a little tweaking. They don’t have a large menu which I like, but I think they need to be more consistent all across the board. And if you’re going to make delicate shellfish and seafood flavors pop you have to be careful about how you spice. The place is very clean and neat on the inside, but the dining room is kind of bland and the tavern/bar part a little dated. I think both the tavern/bar section and the dining room need to meld together decor wise a little more. Don’t misunderstand me, I think the place should retain its country charm, I just think the charm should be displayed differently and with less beer mirrors. 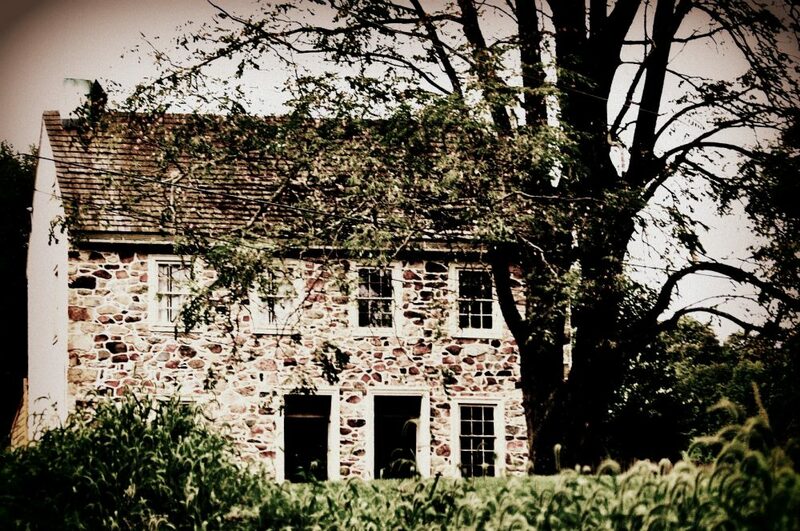 Truthfully, they should go around and study the decor of other country inns in Chester County. I am glad they aren’t all gingham and plaid curtains, however. Or overly heavy Victorian in decor with really cheap scented candles burning outside the bathrooms. I am still very glad I went this evening. And I really did enjoy my dinner and I did enjoy my date night. 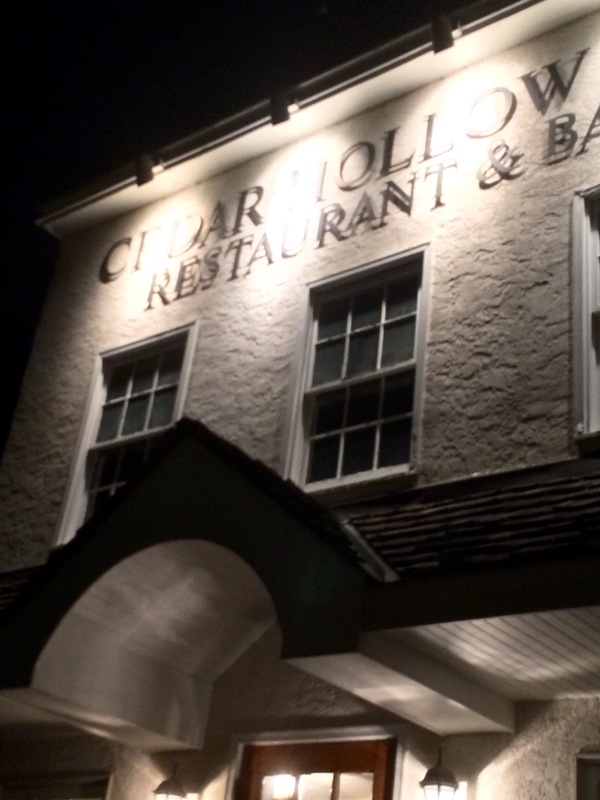 And I am glad I finally have the opportunity to dine at the Cedar Hollow Inn. I hope 2015 is their year! I saw potential this evening. I didn’t invent what I am about to share by any stretch of the imagination, but it sounds like an awesome idea…. A gratitude or grateful jar. So simple a thing to remind us of our blessings….now I just have to find the perfect jar!!! Be safe and happy and healthy! See you in 2015! 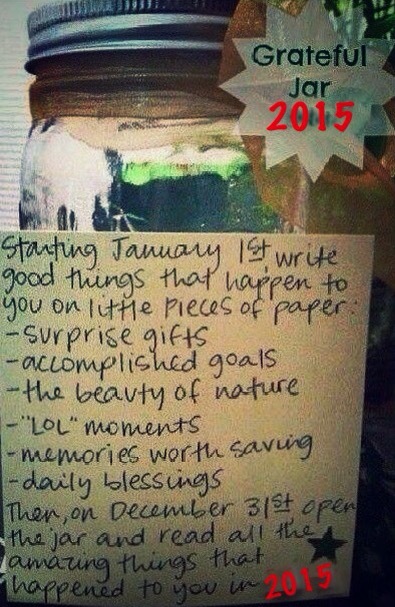 Posted in current events/news, life	| Tagged 2015, grateful jar, gratitiude jar, happy new year! Yes….I had been avoiding it. 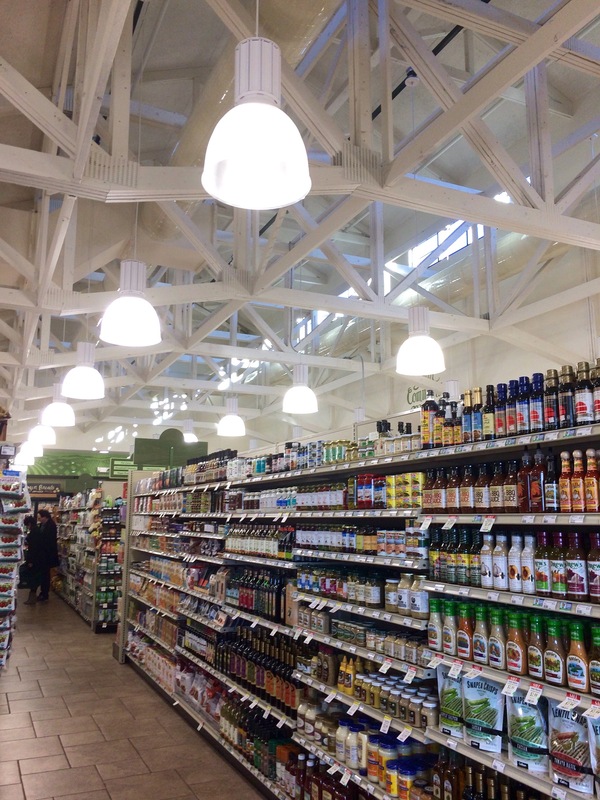 I love the original Kimberton Whole Foods and I knew I would get myself into trouble once I walked through the doors! Yes….in no time at all my cart was filled with things I could not possibly live without today. The new Malvern store took a long time getting here and it is a jewel of a store. 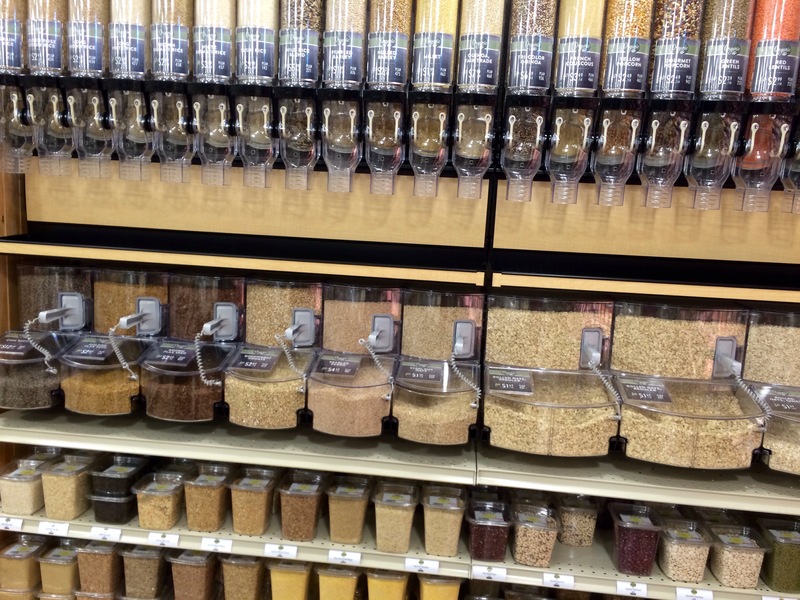 It is on the small side, but given how overwhelming I find Wegmans, I am good with the size. The staff of the store is incredibly nice and helpful. The only thing I couldn’t find that I wanted today was Bulgur Wheat for Tabouli. I spent a ridiculous amount of time going through the store but it is just so clean and lovely. 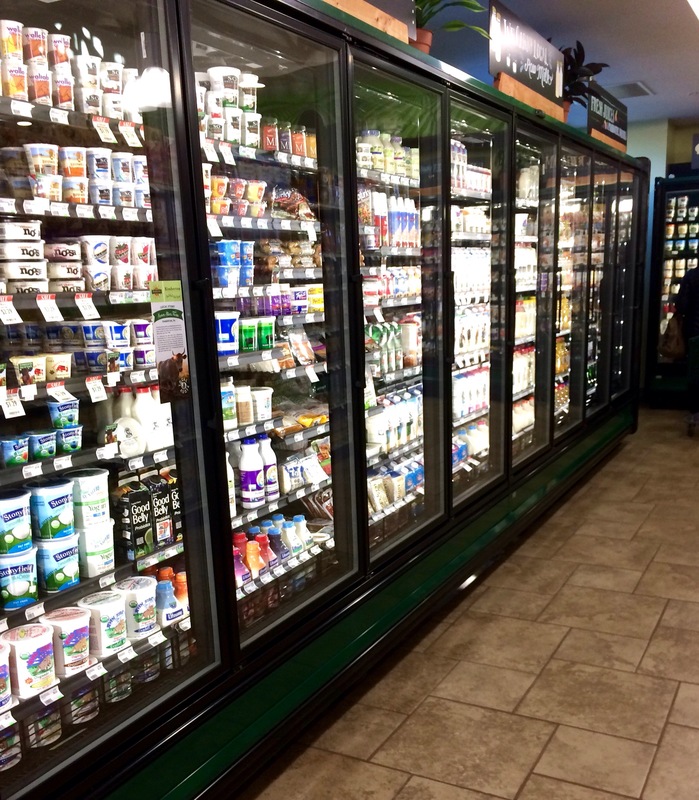 Every shelf is gleaming, and the produce is spectacularly beautiful. The prices are not for the faint of heart, so it is easy to rack up a high dollar check out without much effort —-but you know what you are paying for here. I am really glad they are open and look forward to warmer weather and local produce. If you haven’t been to the Malvern store, go check it out. It is on the end of the Eastside Flats development on King St. in Malvern in a stand alone building. There is ample parking too. 2014 has flown. It has been a whirlwind of a year and thank you all for being my readers! 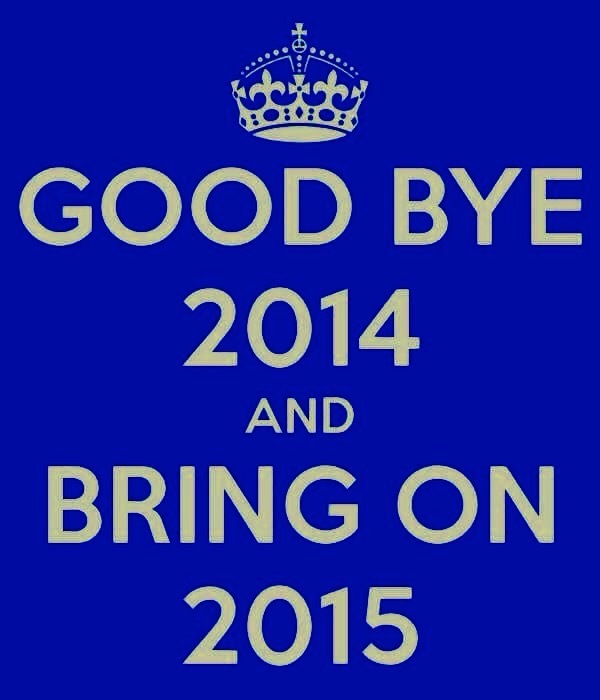 So as the year draws to a close and it turns into 2015, I wish you all well! Christmas is a time for family and friends. Tonight we were with friends and had an awesome evening and tomorrow we will be surrounded by family. Tonight I learned a friend of a friend’s spouse experienced a true Christmas miracle and they have two suitable bone marrow donors. I don’t even know these people and I am so happy for them. It truly makes you believe in the magic of Christmas. I realized the other day that although we are miles away from where we grew up I have several of the people I grew up and went to high school with within minutes of me here in Chester County. How lucky am I to have these people I enjoyed so much as a kid close by as an adult ? Then there are my friends no longer close by and many, many miles away, but still very much in my life and loved. I feel very blessed to have them in my life still. To my friends old and new, thank you for being a part of my life. I appreciate you all. 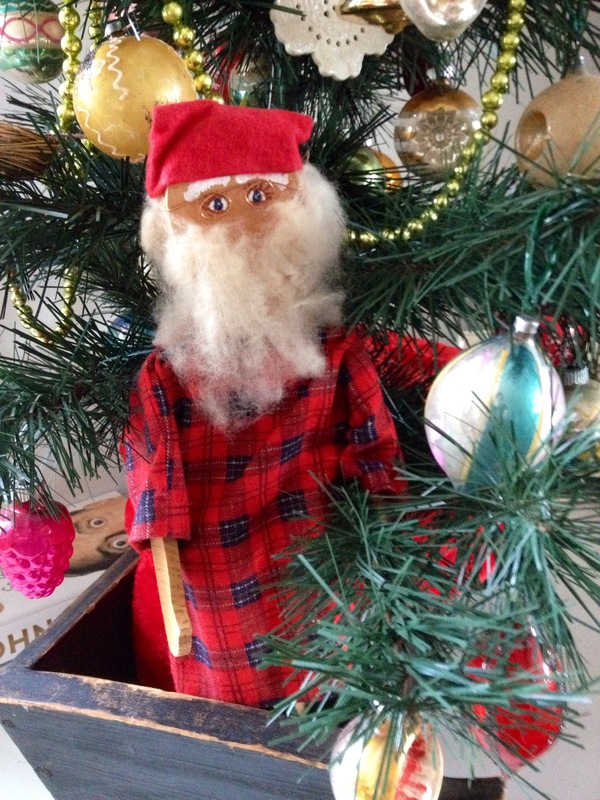 Unfortunately, the holidays are not all magical for people. Some people have a very hard time this time of year and truthfully some people go between anger and depression or a combination of both. We should keep them in our prayers as they struggle to have a normal existence. An example of that was made apparent to me today when someone sent me a screen shot of a photo of mine taken directly from my beautiful “o tannenbaum” post I wrote on December 10th. The photo was used to be nasty to someone else on Facebook. This person also unfortunately has an unhealthy obsession with me and my life (some would call them a stalker). I feel so sorry that they are so lost that they cannot live their own life without anger and negativity ruling it. 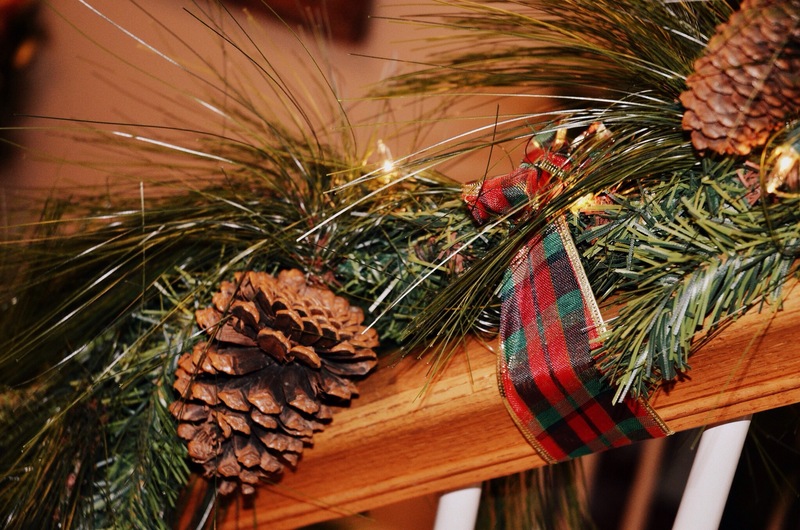 So as you gather for your Christmas celebrations, hold your loved ones close and say a little prayer for those who are struggling emotionally and psychologically. Pray that they find peace and balance. After all, life is such a beautiful gift and so many of us can see that so clearly at Christmas while others cannot. 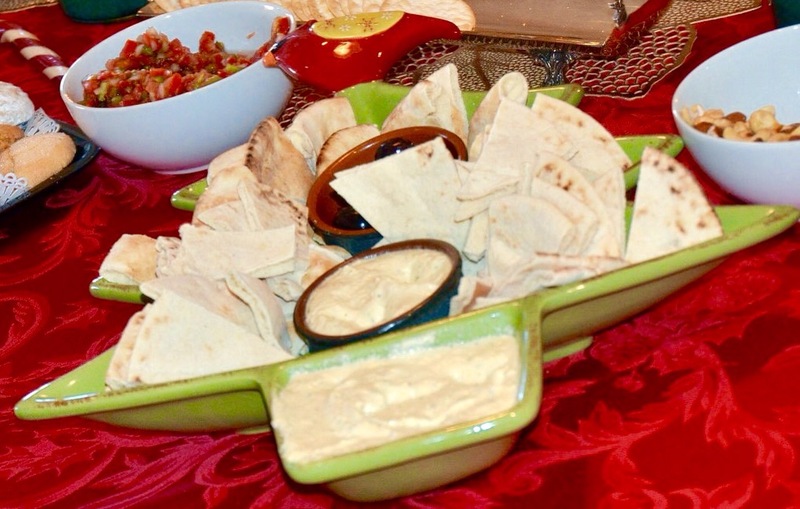 ‘Tis the time of year when you are asked to bring an appetizer or sweet treat to holiday and Christmas parties. So why not combine that with a hostess gift? I do. I feel badly bringing things in plastic containers when my hostesses have worked so hard to create a festive atmosphere. So I often combine my hostess gift with whatever food item I am asked to bring. 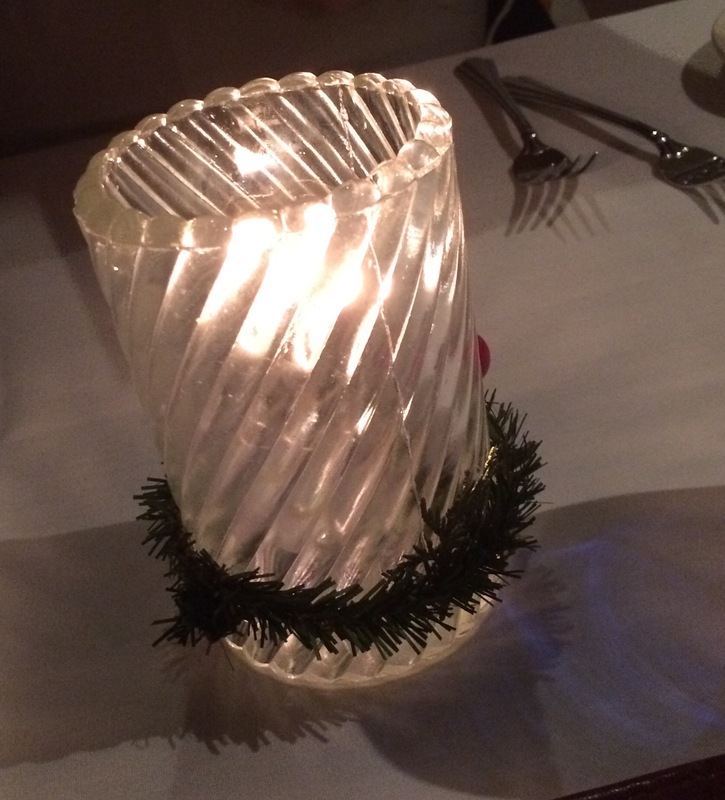 Yesterday I bought an appetizer in a dish shaped like a Christmas tree. Much more fun than Glad Ware or Rubbermaid, and my hostess will have a fun Christmas dish to add to her holiday decor going forward. 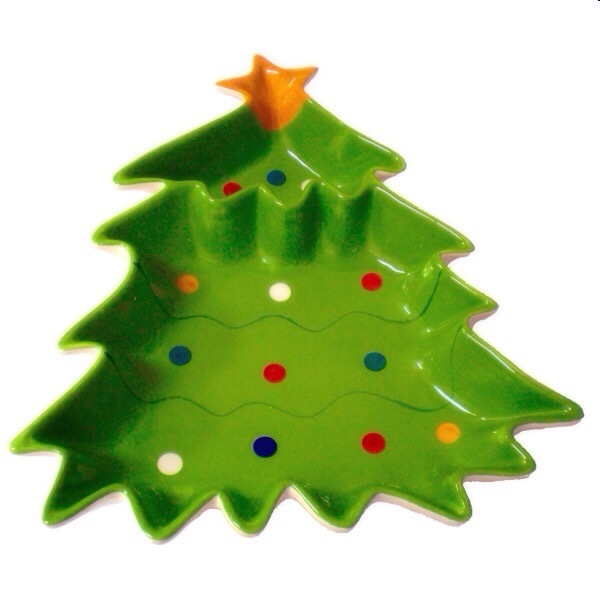 You can find lots of fabulous vintage Christmas dishes as well as modern. There is a lot more out there than Spode or Lenox today.